Happy Friday everyone! And happy (official) summer! That’s right- today is the first day of summer and we’re happy it’s arrived. Sure, it was already hot as blazes here and yes, it’s been summer semester for six weeks now, but it’s nice that it’s official. Plus we love any reason to celebrate, so we decided to make another summer-inspired shenanigan to enjoy. 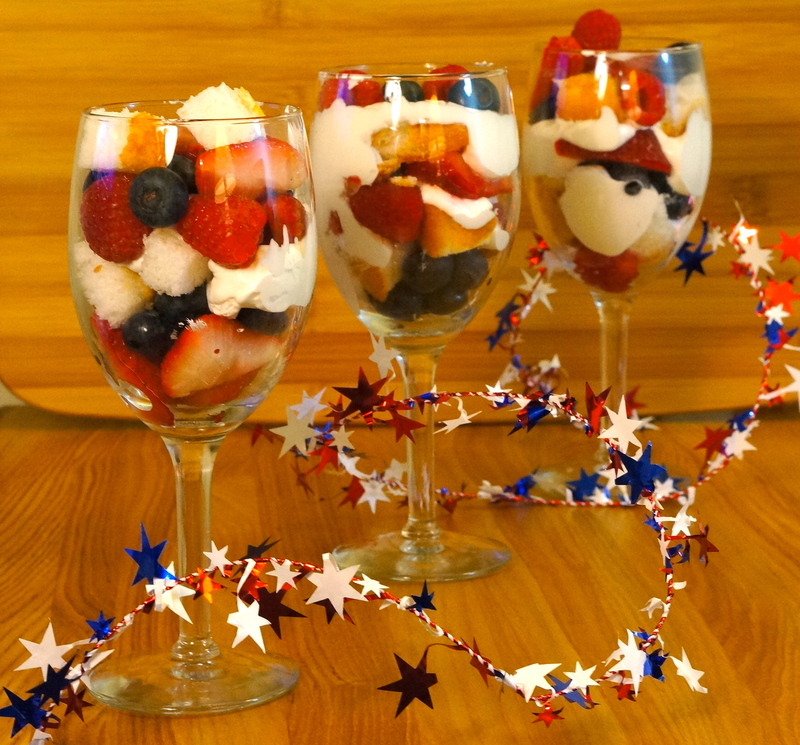 These patriotic parfaits are the perfect summer treat. The red, white and blue colors are inspired by our favorite summer holiday (only two weeks until the 4th of July! ), and they’re a nice light snack to cool off with. The smooth cool whip and the summer berries make this one of our go-to summer desserts. Cut up your strawberries and thaw your Cool Whip. 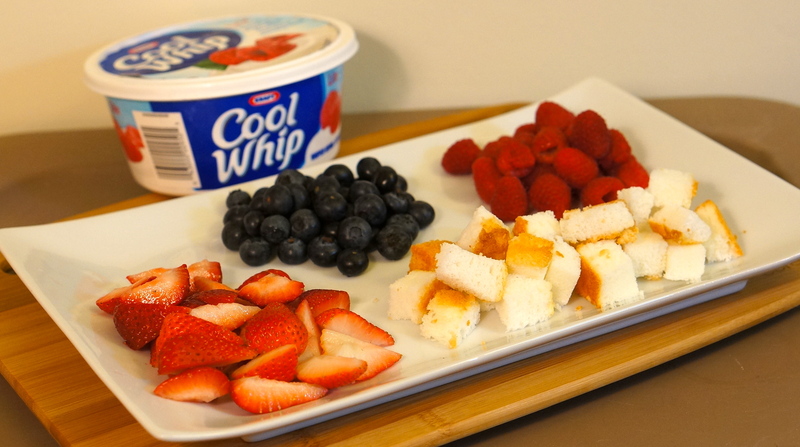 Now have everyone construct their own parfait with layers of juicy fruit, yummy cake and refreshing Cool Whip! If you feel like getting creative you can throw almost any kind of fruit in that you’d like. You can also substitute pudding or yogurt for the Cool Whip. This is a great shenanigan to try with kids- they’ll have a great time “constructing” their own dessert! We hope you all have a great first weekend of summer! Be sure to check out some of our other summer-inspired shenanigans! Fun, healthy, light and sure tasty!! Great for the 4th or really anytime! Can’t await to try it out. Yeah! 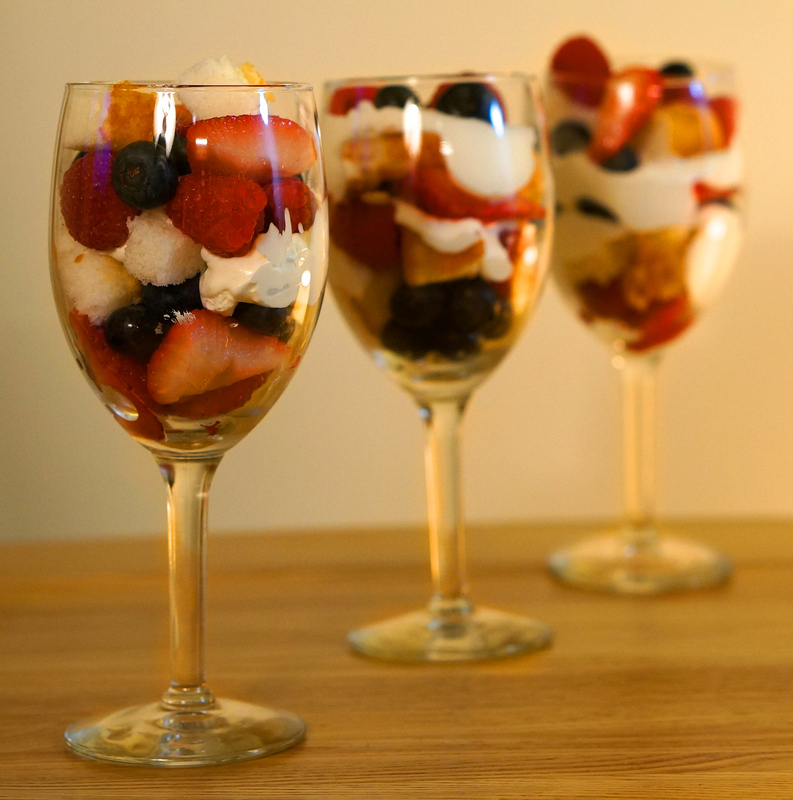 It’s a fun twist on the normal parfait! Looks very refreshing and yummy. I plan to make these for the 4th of July!! Awesome! Make sure to let us know how they turn out!